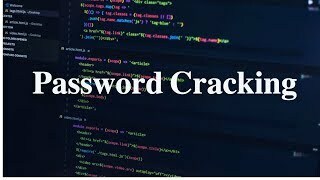 Free PHP Video Script presents Cara LengkAP Menggunakan SQL injection Dengan Aplikasi SQLMAP Windows a video uploaded by Komputer Android for the community to watch . I sure hope you get a chance to enjoy Cara LengkAP Menggunakan SQL injection Dengan Aplikasi SQLMAP Windows and are happy with the quality it offer. Do remember you could change the quality video to view Cara LengkAP Menggunakan SQL injection Dengan Aplikasi SQLMAP Windows in a better High Quality straeaming video. However, it also depends on how fast your internet is, Don't expect to watch Cara LengkAP Menggunakan SQL injection Dengan Aplikasi SQLMAP Windows on a low internet connection as it will lag . If you have enjoy watching Cara LengkAP Menggunakan SQL injection Dengan Aplikasi SQLMAP Windows and will like to save it on your device to view for later, Then feel free to click on the Download Button located below the video plater to download this awesome video into your device. You could also download music videos to mp3 to enjoy it on your Ipod or Mp3 Music Player . Please note that FreePHPVideoScript does not host Cara LengkAP Menggunakan SQL injection Dengan Aplikasi SQLMAP Windows nor any other video on this site. This video and all video shown on this site it's pulled directly from YouTube . If you see a video that violates any laws, Please report directly to youtube. Pleae double click on the video itself to be taken directly to youtube video to report any violation you may find with Cara LengkAP Menggunakan SQL injection Dengan Aplikasi SQLMAP Windows or any other videos hosted on their site. Feel free to leave a comment below for Cara LengkAP Menggunakan SQL injection Dengan Aplikasi SQLMAP Windows below , you may login below with your facebook to leave a comment.